There are some places in Cairo that just feel right. You can’t quite put your hands on it, but something about them makes you feel comfortable and relaxed. That’s exactly how we felt at Mashawich. As you all know, at Iftar in Ramadan, we feel like we might eat the whole table. Still, we’re afraid of what that could to do our stomach. You see, BISD (Bloated Iftar Stomach Disorder) is quite a serious thing, and we realise that it could happen to anyone. But since we like you guys so much, we decided to sacrifice the sanctity of our stomachs, and sacrifice it for you all, Cairenes. The good folks at Mashawich gave us some dates to break our fast, and then served us some tasty Sobia drink with coconuts. We then headed on to the salads: a good green salad that didn’t have any unique flavour, and a tahini salad that disappointed us. Moving on, we started with Orzo Soup (Lesan Asfour) which tasted good despite the portion being quite small. But never mind, these are just the starters, so what about the main meals? They had a Mahashi Tajine that was incredibly tasty, it had vine leaves, peppers, eggplant, and zucchini. We couldn’t leave that tajine without finishing every last bit of it. The rice was cooked just right and it had a distinctive lemony taste. We also tried the Okra with Meat Tajine, but we advise against it. Despite it being a very popular dish, this one was not that well-cooked. 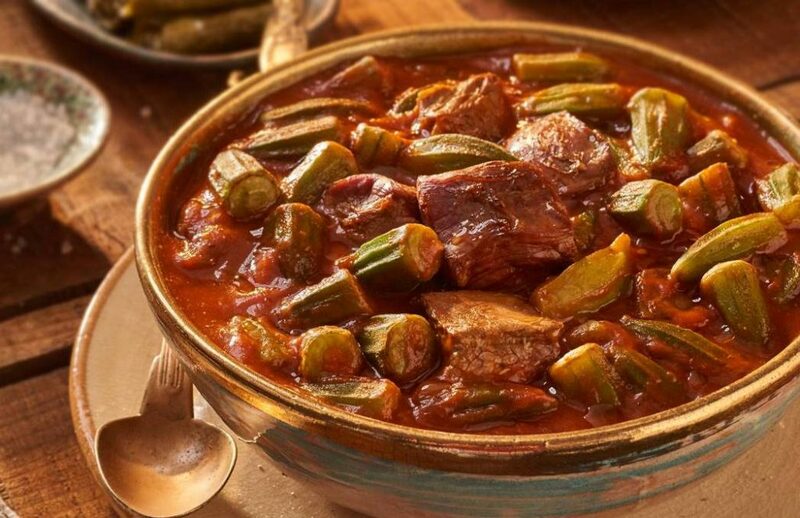 The choice of meat was poor, and the okra was not of the type to be used in a tajine. What you cannot miss though is their Mombar Balls, it’s truly a revelation. But leave it to cool down a bit so you can taste the rich flavour of the rice. 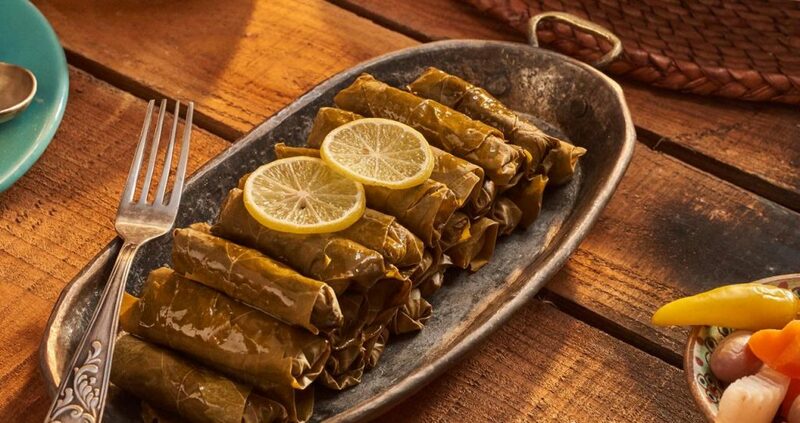 Mashawich also serves up some sohour meals, you can choose between sandwiches or traditional dishes, and the prices are inclusive of taxes and services. After our experience there, we’d advise you to try it out. 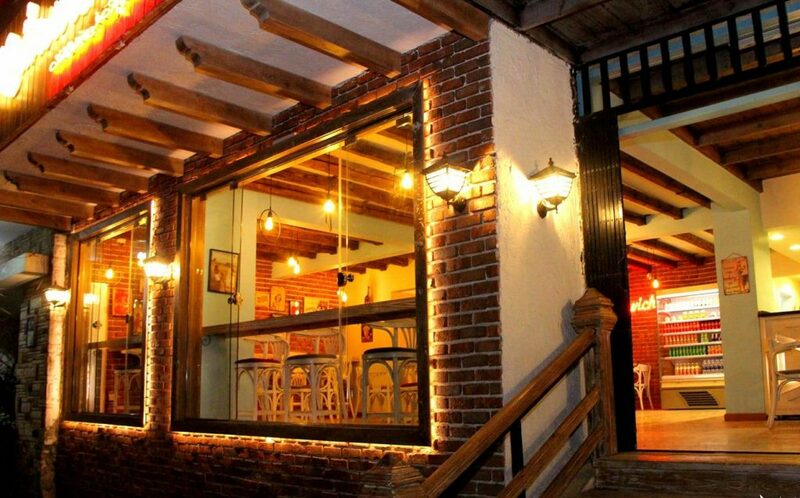 Mashawich has a distinctive ambiance, one that is different from any other place. You can even think of it as a hang-out spot where you can just enjoy a get together with your friends after a nice Iftar meal at home. They also serve sandwiches for sohour. The Mombar Balls, a must-try!